Rofi has always been present for the Openbox and i3 users. 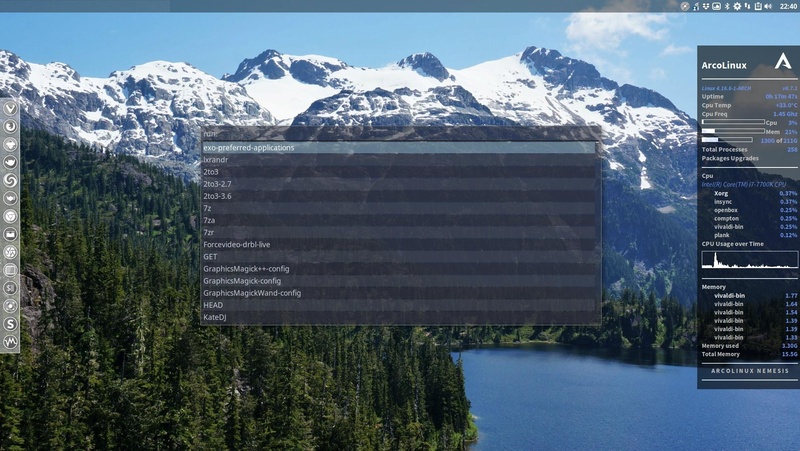 As of May 2018 it is also available for Xfce. The application was present on the iso. With 4 keyboard shortcuts we can now start it on Xfce. Choose your theme with the arrows and save it with ALT + A. Learning to use Rofi will help you later when you go to Openbox, i3, Awesome, Bspwm and other desktop environments. These shortcuts will launch Rofi in there as well. 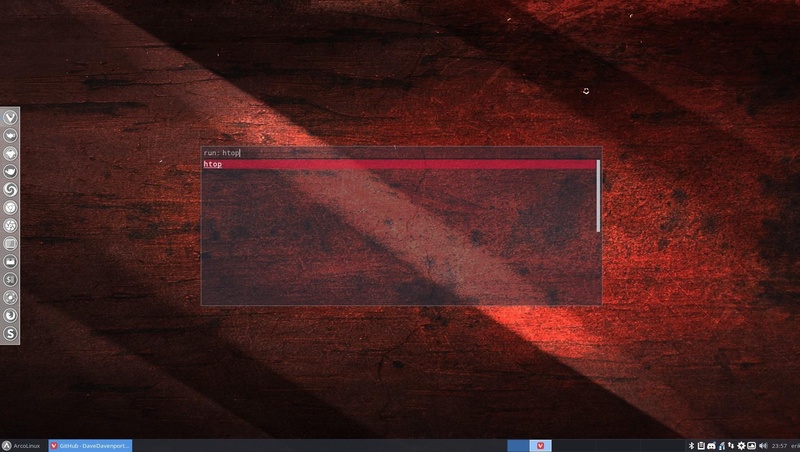 In this article we explain you what to do to update your xfce settings to have Rofi. ArcoLinux iso 6.8 of 1st of June 2018 will have this automatically on board. Make sure you have installed our beautiful themes. Tip : you can launch applications in a terminal when selecting them and pressing SHIFT + ENTER. 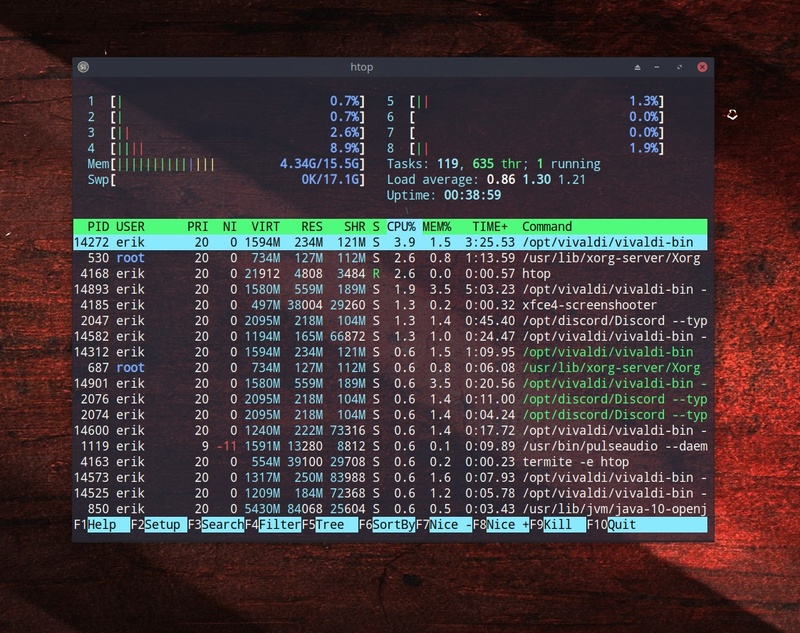 Htop as example. You can learn more on the github of Rofi at https://github.com/DaveDavenport/rofi.